Formategory is a plugin for WordPress that allows you to customize posts based on their categories. Just define a template for a category, and all of the posts in that category will be displayed according to the template. An example of a templated post. The category template management page. To install, either search for “Formategory” on the Plugins installation in your WordPress dashboard, or download the .zip from Extend, choose “Add New” from the “Plugins” menu in your WordPress dashboard, and then upload the .zip file. 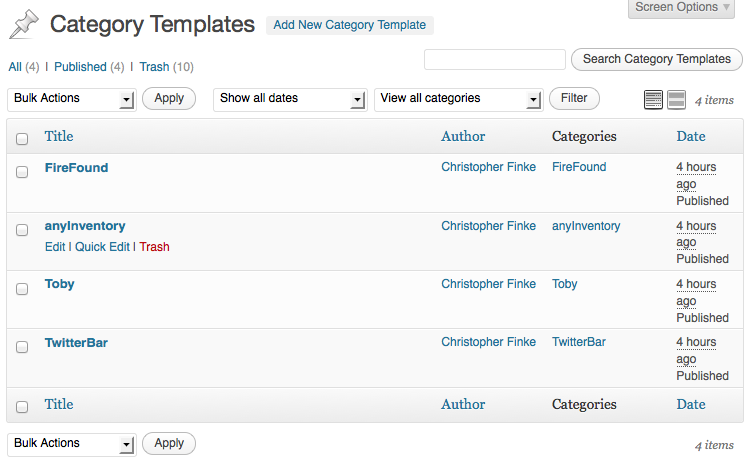 Activate it, click the new “Category Templates” link in your dashboard’s menu, and create your first template. 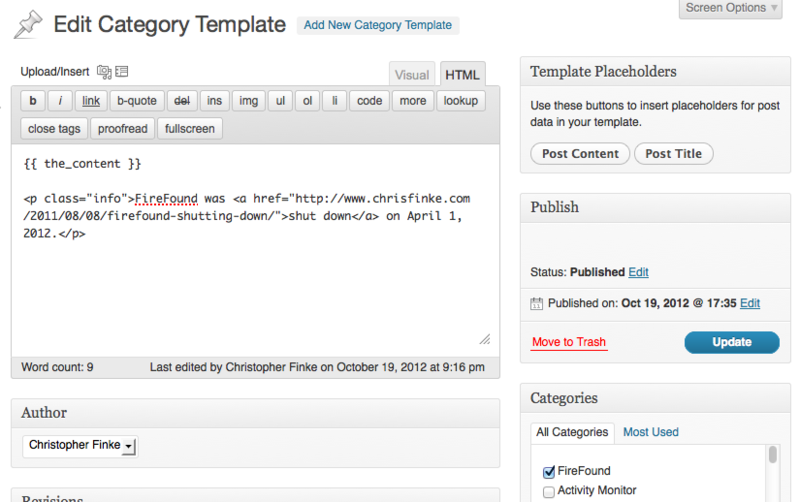 Watch the Formategory section of my blog for information on updates to this plugin. Very cool, and a plugin I’m going to have to give a go. One question though. What if a post is in multiple categories, either each with their own template or one with a template and one without? If a post is in multiple categories, each category is checked for a template and applied to the post in sequence. Categories without templates don’t make a difference. The fact that “Holidays” doesn’t have a template doesn’t affect anything.